Geopolitical concerns were overshadowed yesterday by the rally in crude prices, with West Texas Intermediate gaining $1.35 to close at $93.06 per barrel. Bargain hunters made their presence felt after a fifth day of consecutive declines despite expectations of a slump in energy demand due to a slowdown in China and the EU. Even though it was a quiet day for both the dollar and equities, we saw renewed weakness in the gold market, with the metal losing another $8.8 to $1,240. Although the exact timing of an interest rate increase is open to debate, the majority of traders agree that it will happen sometime next year. This would deliver a fresh blow to precious metals and 2015 is not far off. A smaller than expected draw in weekly crude oil stockpiles weighed on WTI futures yesterday. On top of that, the US dollar rallied again, accelerating the $1.05 plunge to $91.73. The announcement by Ukrainian President Petro Poroshenko that most Russian troops have withdrawn across the border eased fears that the conflict could escalate further. Demand for gold suffered as a result and, with a little help from a stronger dollar, the metal made a new recent low, closing $6.2 lower at $1,249. Expectations for a large draw in weekly oil inventories saw WTI futures make a strong start to yesterday's session. However, the trend turned towards the close as energy demand seemed to fall, which in the end pushed the market $0.38 lower for the session to $92.76. After reaching a recent intraday low of $1,247.2, the gold market managed to stage a late rally to close rather flat around $1,256. CFD investors seem to believe that the US dollar is on a generally strengthening path so demand for precious metals could have a tough time ahead. China posted another impressive rise for its trade balance as a result of exports gathering pace. At the same time though, imports fell for a second month which sparked concerns of a global surplus in crude oil. This saw West Texas Intermediate continue to decline, losing $0.32 cents to $93.13, whilst Brent moved below the $100 mark for the first time since June 2013. 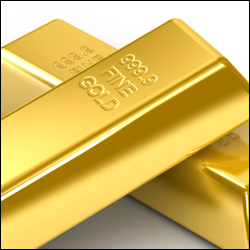 A stronger dollar was again the main culprit in sending gold prices $13.2 lower yesterday to $1,255.4. With the fragile truce in Ukraine continuing to hold, the precious metal is also seeing less demand as a turmoil hedge. After treading water during the morning session, the release of disappointing US jobs data saw WTI crude prices drop sharply. The report indicated that the economy is not quite booming, raising concerns about oil demand going forward. On top of that, there was a cease fire agreement reached in Ukraine which accentuated the slump so WTI crude ended $1.08 in the red at $93.49. With rising expectations that the Fed will maintain lower rates for longer, investors turned back to gold, pushing its price $7.5 higher to $1,268.4. Nevertheless, the short-term trend remains bearish and with stock markets around their all-time highs, it would take a lot of courage to bet on a trend reversal in gold.